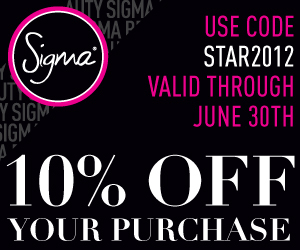 My Sigma Picks + 10% discount code! 1. 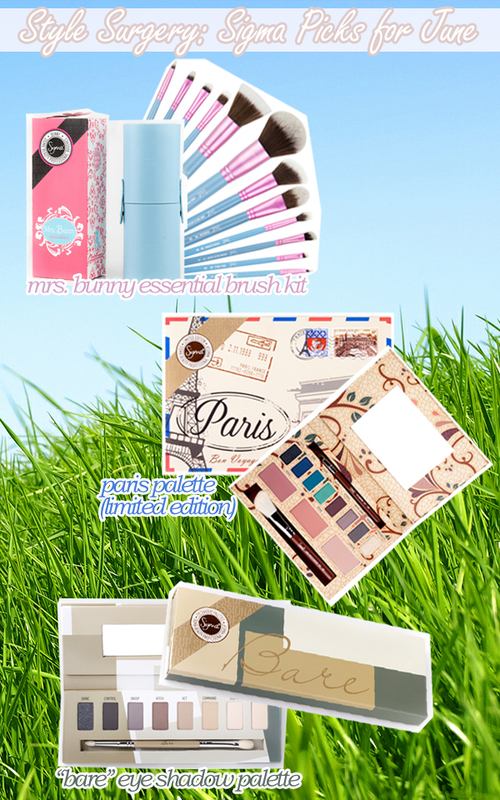 Mrs. Bunny Essentials Kit - Need a brush kit that contains the essentials when traveling? This is definitely what you need. It's in a cute pouch, it's lightweight and easy to store! 2. Paris Palette (Limited Edition) - This new eye palette contains eye shadow colors inspired by landmarks in Paris and some blush. This would be your go-to palette if you're aiming for more color without overdoing it. 3. Bare Eye Shadow Palette - Neutral and wearable tones. I don't even have to explain why. SO NOW, HERE'S THE GREAT NEWS FOR EVERYONE! So what's your Sigma picks? Share them with me!